1. Mix the eggnog and club soda in a large bowl. 2. Scoop the ice cream into the mixture and stir. 3. Dip the rim of a glass into water and then into crushed candy canes. 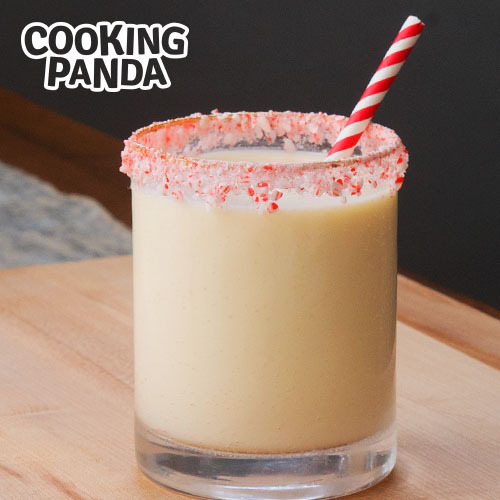 Pour punch into glass, add a candy-cane straw and enjoy!